When I saw the ads on TV for the Chromecast I got the impression that anything you could see on your smartphone, tablet or laptop could be sent to your big screen TV. Cool. Well, it doesn’t work that way. I ordered a Chromecast from Amazon for one purpose only, to see Watch TCM from one of my tablets to my big screen TV. My wife works out of town, and since she loves TV far more than I do, I let her have the cable TV. However, she’s let me have the streaming apps for HBOGO and Watch TCM. HBOGO however has a Roku channel, so I watch it through my Roku. I love TCM, but watching TV on an iPad is no fun for me, so I didn’t watch TCM. Then I saw the Chromecast and thought, wow, I can now watch TCM! Quick review: No such luck. It turns out the Chromecast is designed to work with only a handful of optimized apps. Of the twelve apps listed, I only like three, and all three are available on my Roku. So the Chromecast ends up being useless for me. I went on the net to see if I could hack it for some other fun use, and discovered some people casting from the Chrome browser – but evidently that’s only from laptops. I can’t cast from Chrome on my iPad or Nexus 7. From Googling around I discovered other people trying to do the same thing I’m doing, buying a Chromecast in hopes of seeing TCM on their TV from their laptop. Through this research I discovered Watch TCM is online and I can now watch TCM on my big screen TV via the computer that’s attached. So I really don’t need to Chromecast at all. However, since I don’t like sending things back I started looking around for other fun things to do with a Chromecast. I hoped there might be a way to put Android on my TV using the Chromecast, but couldn’t find anyone that had done that. About the only thing I found even slightly useful was to play YouTube on an older flat screen TV that doesn’t have a Roku. And even this works very flaky. I started a one hour lecture on speeding up Python, but I couldn’t shut it off. Once the film began it appears the Chromecast might not be getting the film from the iPad, but off the net. I haven’t tested this thoroughly, but closing the YouTube app doesn’t stop the film. Neither did shutting off the iPad screen. I didn’t try shutting off the iPad. I did shut off the TV. Then turned it back on and the film was still playing. I then started the iPad back up, launched YouTube app, and found I could then shut off the film. The Chromecast is a nicely made product, that comes in packaging that reminds me of something from Apple. The trouble is, Chromecast is so limited in what it can do, especially if you have a smart TV or Roku, that it’s practically useless. My guess is its useful to people that have a TV with a HDMI port, but no other connected devices or smarts. If Chromecast had merely mirrored my Nexus 5 or iPad screen to my TV it would have been wonderful to me. And such a feature might be forthcoming in future updates. So I don’t know if I should keep the Chromecast or send it back. I was hugely disappointed. Evidently, there’s a lot of us old baby boomers that love old movies that don’t want to buy a zillion cable channels we don’t want to watch. Our alternatives to TCM are improving. Note #1. To TCM: Put Watch TCM on the Roku and charge $7.99 a month like Netflix and Hulu Plus. TCM is the gold standard for old movie watching, but not worth buying cable just to watch old movies. Note #2. For you old movie fans, try Warner Archive Instant on the Roku. At first it looks like it has a very limited selection, but poke around. Plus new films are cycled in each month. I find plenty to watch, except that in the past few weeks net traffic keeps it from working during prime time hours. Warner Archive focuses on the 1920s through the 1980s. Note #3. If you live in one of these cities, Sony is now broadcasting old movies over the air for something called getTV that appears to be capitalizing on the TCM craze for old movies. Note #4. Try Classic Flix. It’s a disc rental service like Netflix, but focuses on old movies. Unfortunately, it has only one mailing location – California, so it takes 3-4 days for me to send back a movie. I get about 4 movies watched a month for $10.99. I had been considering a Chromecast but I think I’ll wait now. I trust you. It was your Roku review that convinced me to buy one for our house and we have not regretted it. Sarah, what did you want the Chromecast to do? I love the Roku. I believe “practically useless” is a bit extreme. 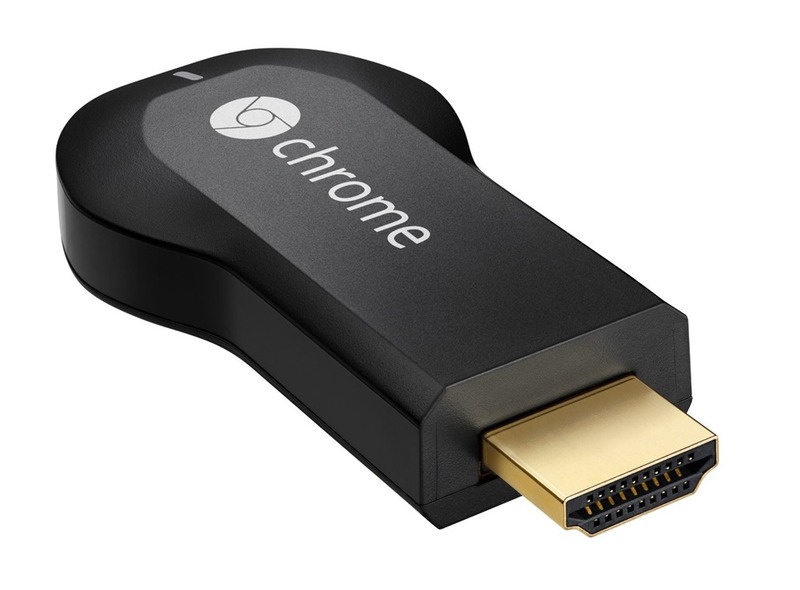 At present, there are 223 apps through which Chromecast may operate. If you have an Android device, “Cast Store” is a fantastic app that creates a filtered Play, showing only Chromecast-enabled applications. The number of relevant apps is increasing almost daily. While it may not stream your preferred programming, I wouldn’t be surprised if it’s not in queue for development. Given the number of apps already in existence, it can practically stream everything I’d want to my television. I didn’t send the Chromecast back, assuming more apps would work with it. I bought the Chromecast to cast the WatchTCM app, and really had not other use for it. So, it’s gone unused since. I figure someday another use will come to mind. I wish it was a true Android on a stick device. I’m also very disappointed with chromecast. It really show see whatever I’m casting from my desktop, tablet or phone. I don’t understand this stupid way of using “supported apps”. I want to also return it but probably won’t. I want to wait and see what they do with it. It really should have been able to do that at a minimum. That’s what I thought it would do when I bought it, just mirror my device screen to the TV. I have touched my Chromecast since I wrote the review. I keep thinking I’ll read that it’s had some significant updates and will try again. I think Chromecast was a good idea that is being badly damaged by too early release. By introducing it before any really useful aps are available everyone gets the idea it is useless and the information spreads fast. I like to work in my office and studio at home and I like TCM but have no cable or cable box in that room but my computer and internet router are there. I got a chromecast device for the TV in that room and was also disappointed since I am not a big fan of Netflix. And then a great discovery – I have a slingbox and I can now Chomecast my cable TV to any TV anywhere that has a chromecast device using the slingbox app. I even carry one with me when I travel as most modern TVs in hotels have HDMI ports. I now watch TCM in Paris or London or anywhere. I think the jury is still out on chromecast and they do need to connect their device with more content providers like WatchTCM. Previous Previous post: Don’t We All Have Personality Traits in the Autism Spectrum?